Will West Ham ever play in the Champions League? Will we ever hear the “We Are Champion’s League” chant echo around the London Stadium? Did you watch the Champions League final at the weekend between Real Madrid and Juventus? I thought it was an excellent game that was light years away from any of the domestic football we’ve seen this season. My first experience of seeing a European Cup Final was as a six year-old watching on black and white TV with my dad. I was enthralled seeing Real Madrid thrash Eintracht Frankfurt 7-3 in the 1960 final. In those days the European Cup (which became the UEFA Champions League in the 1990s) was only for the champions of countries. Nowadays of course it is a mega highly branded competition where up to four teams can qualify from leading countries. So all we need to do is finish in the top four of the Premier League and we are in. Sounds easy? Of course not. I am afraid that the Premier League is now so predictable and driven by money that I can easily forecast which clubs will be in contention for a top four finish next season. It will be simply a case of perm any four from this season’s top six teams. The two Manchester clubs, Liverpool, and the London trio of Tottenham, Arsenal and Chelsea are so far ahead of the rest in terms of revenue, I can see them dominating our domestic league for years to come. What about Leicester in the season before last you may ask? Yes, they were the exception to the rule, an absolute freakish surprise, but I honestly can’t see anything like that happening again. If you look at the Deloitte table of the richest clubs, then there are ten Premier League clubs that have appeared in the Top 20 in Europe in the last couple of years. In addition to our big six then the nearest challengers in revenue terms are Newcastle, Everton, Leicester and ourselves. But when you consider that Tottenham (the sixth richest club in England) are so far behind Liverpool in fifth, and then see how far behind Tottenham we are, then we are just not in a position to compete financially. Of course the move to the London Stadium will help us in financial terms, but all it will do is slow down the rate at which the top clubs are pulling away, which grows bigger every year. Apart from Leicester you have to go back to season 2004-05 to find anyone outside of the big six who managed to break into the top four, when Everton crept into fourth place. Newcastle themselves did so a couple of times prior to that season, and Leeds also did around the turn of the century, but although money was a factor in those days, the differential between the top clubs and those below them wasn’t so great then. Now the differences are so huge, and the gap is getting wider, that I cannot see it happening again in the foreseeable future. 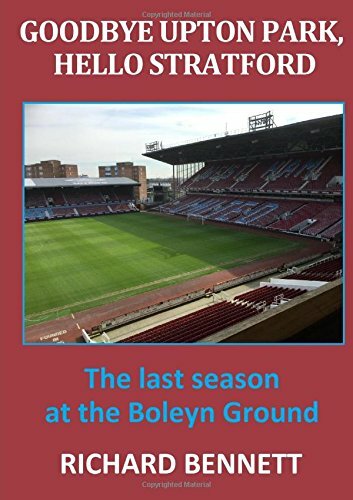 Our bullish owners are hopeful that we can compete to join this elite club, and indeed we gave it a good go in our final season at Upton Park when we finished seventh, and could perhaps have finished even higher. Almost twenty years ago we achieved our highest ever placing in the Premier League when we finished fifth in 1997-98, and a little over ten years before that in the days when the top flight was called Division One, the boys of 1986 came so close when we finished third. But it was a different world then as teams such as Southampton, Forest, Watford, Ipswich, and Norwich all managed top four finishes in the 1980s. In many ways the Premier League is more competitive than most with six teams regularly contesting to finish at the top. In the other top leagues such as Germany, France, Spain and Italy, there are perhaps two or three teams at the most who are likely to finish as champions. This is not too surprising as our top six clubs make up half of the top dozen richest clubs in the world. But this only means that we will find it harder to earn a place in the Champions League. To break into the elite we would need to sign some top players. But the very best players only want to play in clubs competing in the Champions League, so even if we were prepared to pay top dollar for the best, I am afraid that they wouldn’t join us anyway. I cannot see a day when we will ever play in the Champions League. Next season the best we can possibly hope for is to be among a group of middle ranking clubs who will fight to finish in seventh place (as we did a year ago) in the Premier League. I’d love to be wrong and see us emulating Leicester of a year ago. But it won’t happen.